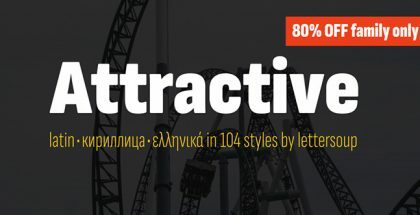 Luba Luft is a semi-connected contemporary typeface with beautiful handwritten appearance. It is a debut on our site for the German designer Julia Bausenhardt. 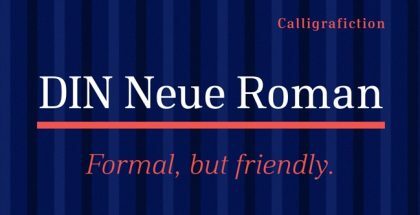 Having graduated from the University of Applied Sciences Hamburg she has had interest in the field of type design and calligraphy for a long time. 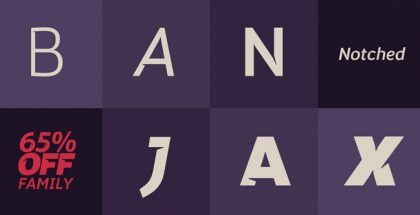 Now she focuses her attention on creating mainly hand drawn display fonts which include vast number of OpenType features. And, judging by Luba Luft typeface, she does that pretty well! 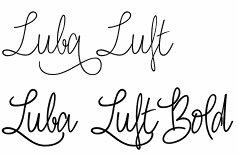 Luba Luft typeface itself will immediately strike you with its curvy and loopy letterforms and the absolutely formidable way they curl around each other with their merry doodles. This font really resembles someone’s handwriting or even signature and will flow really easy and even either in print or on the screen. 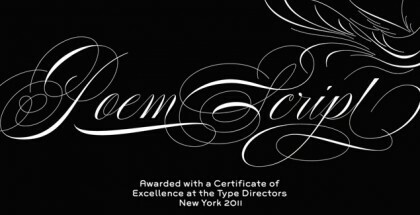 Also this unique script, unlike some of the same kind, is easily readable and will be your perfect choice for invitations, menus, packaging, labels, all kinds of greeting cards, wedding and anniversary stationery, etc. Luba Luft is supplied in two versions – Regular and Bold. 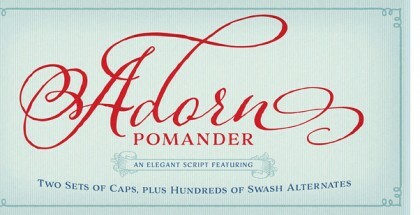 It comes with literally hundreds of easy and fun to use features which those of you with OpenType compatible software will enjoy, or more precisely – 158 swashes, 26 alternates and 44 ligatures which will help your project look really one-of-a-kind. Get Luba Luft and enjoy the beauty of doodles!